University of Melbourne researchers have found a way to rebuild damaged nerve coverings that cause Multiple Sclerosis. Finding ways to restore the myelin sheath is recognised as important to preventing the progression of disability in MS patients. Researcher Jessica Fletcher led the team who made the discovery and their findings are published in the Journal of Neuroscience. "Your brain runs on electricity. And, like electrical wires, your nervous system needs insulation. These nerves are covered by an insulating sheath called myelin that is vital to the normal functioning of our nervous system," Dr Fletcher said. 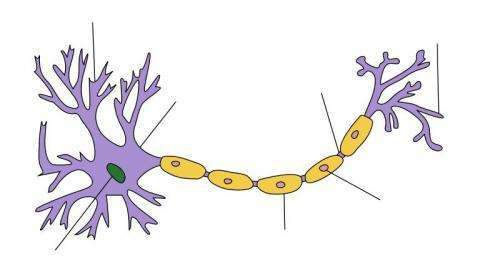 "But for those people affected by diseases like MS, this insulating myelin is destroyed by the immune system – leading to significant nerve dysfunction as well as slowed or blocked nerve conduction between the brain and the rest of the body." Dr Fletcher said the team successfully used a synthetic compound to stimulate a receptor pathway to promote remyelination in the brain. "There's nothing currently available to help with myelin sheath repair. The beauty of what our team has done is taken what naturally occurs in healthy cells and used that to manipulate a similar response in damaged cells," she said. "It's very basic foundation research to show that this idea can work." Dr Fletcher said this was early-stage research and any medical application to the discovery would be a long way off.